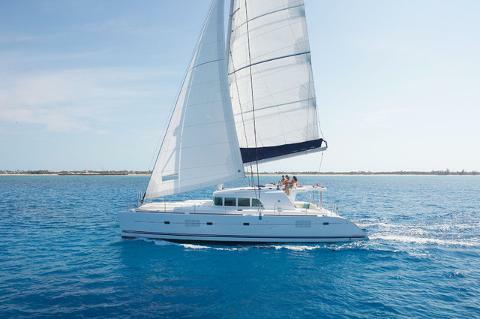 Board a private catamaran and cruise along the caldera cliffs during day or sunset time, stopping at the warm springs, the red and white beaches, trying your hand at swimming and snorkeling, and enjoying a rich Greek meal on board. 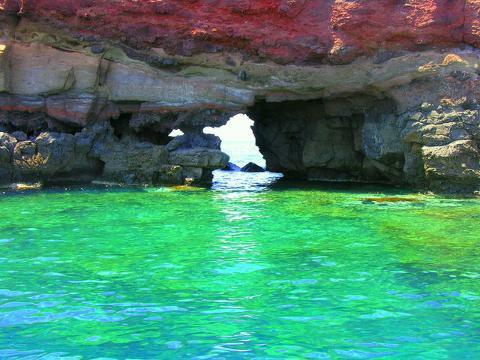 The route of the private 5-hour sailing tour takes you around the Caldera Cliffs with various destinations along the way. 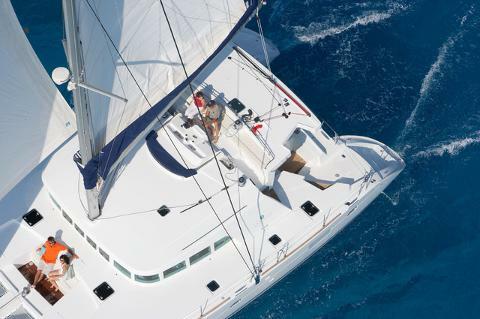 As you cruise along, enjoy Greek wine, beer or soft drinks available as refreshments. 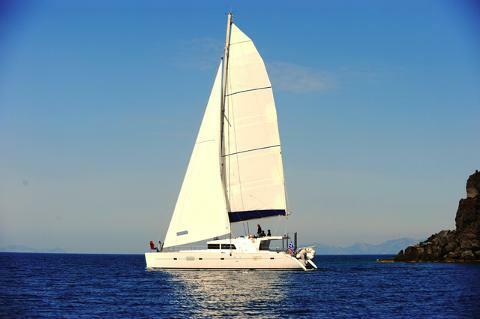 Then continue sailing to the south island part, on the southern windless coasts. Stop off Mesa Pigadia or White Beach (depending weather condition), where you will have the opportunity to swim and snorkel. On board, you can enjoy a lunch of chicken fillets, Greek salad, pasta salad, appetizers and bread. Vegetarian options are available as well on board. 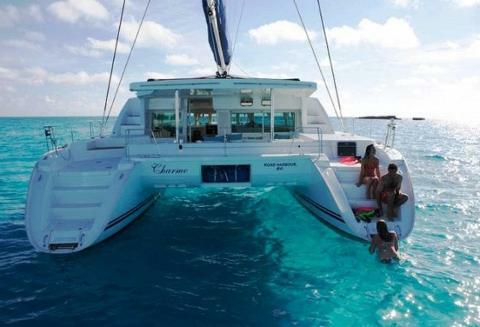 Next make your way to the Red Beach, where you will have 30 minutes of free time to swim, snorkel, or simply lay out on board the catamaran. 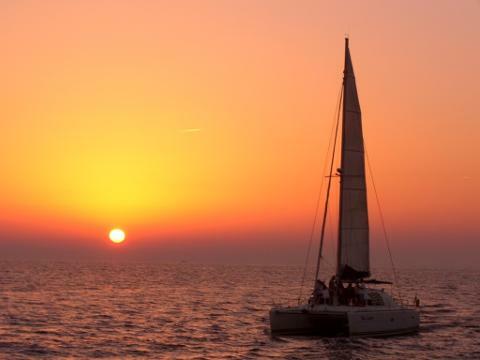 If sunset cruise is selected, round-off your day with your digital camera on hand to capture the sun beginning to set in Santorini! 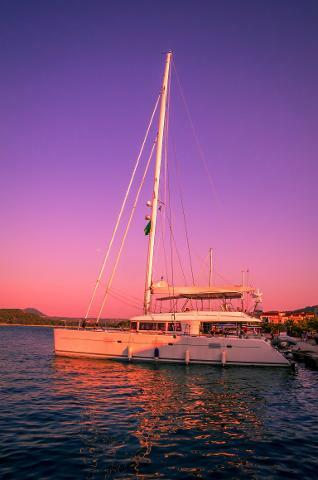 When the private cruise finishes you will be transported back to your hotel with our a/c private mini-vans, to round-off your day at sea. 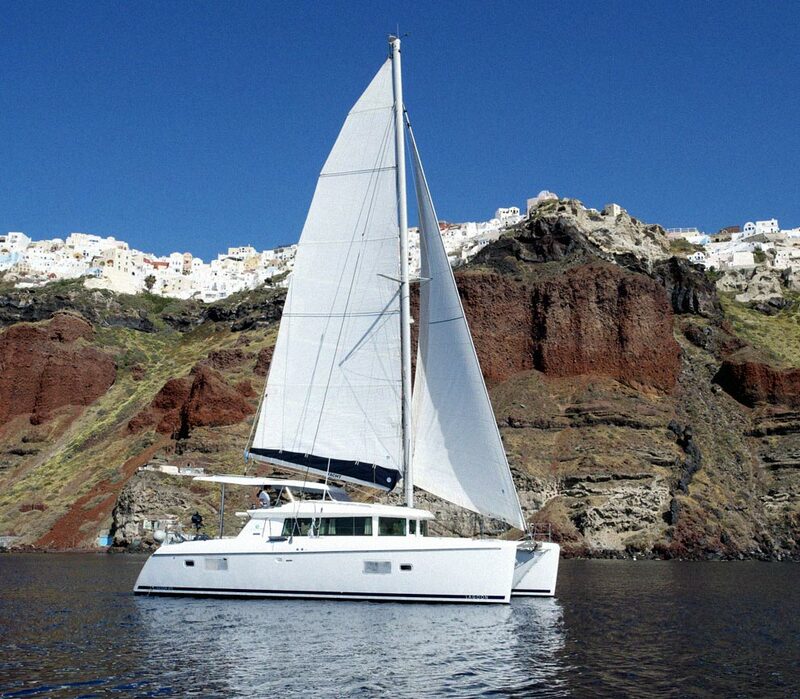 Enjoy sailing during day or sunset time around Santorini on board a deluxe private catamaran. Dine on a rich Greek lunch including salads, bread, and complimentary wine, beer & beverages. 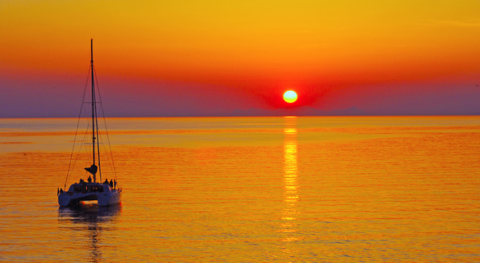 Stunning panoramas of picturesque Santorini during sunset time, if sunset cruise (2:30 pm departure) is selected. Round-trip transportation with modern a/c mini-vans from all Santorini Hotels & Apartments. • Full fresh Greek meal prepared on board. 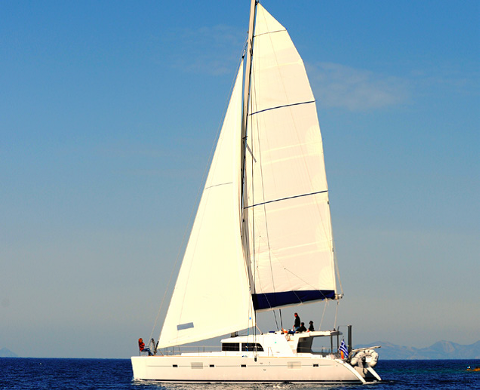 • Round trip Transportation with modern a/c mini-vans from all Santorini locations/Hotels. 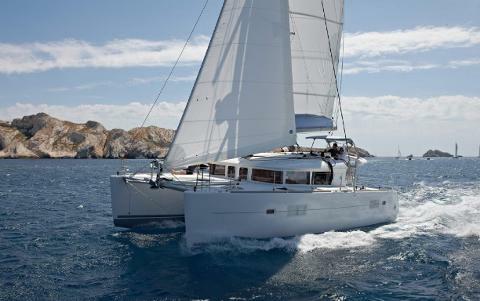 This is a private sailing cruise for up to 6 guests. Each additional participant costs 100.00 Euros per person extra. Duration 5 hours approx. Operates daily, from May1st to October 15th, annually. Please note that drinks such as wine and beer are being offered complimentary from the crew while on board under a moderate consumption and within alcohol safety limits scheme, as per the Greek sea law for travelers on board organized sea excursions.